Statement drop earrings by Lele Sadoughi. 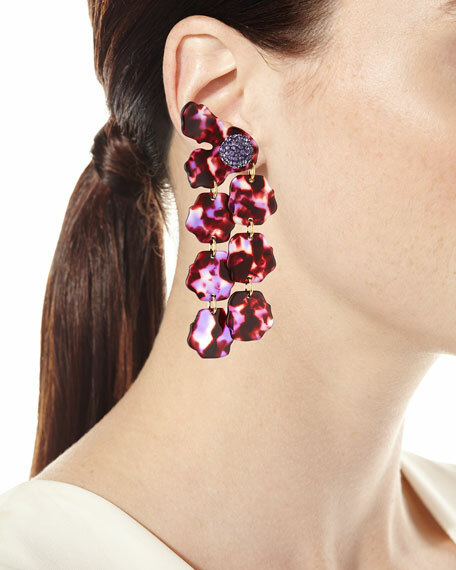 Two rows of hand-swirled acetate petals with Czech crystal cabochon detail. For in-store inquiries, use sku #2340622.